The first set converts the 1:72 Revell Agusta A109K2 kit into an A109A Mk.II SEM search radar-equipped version as operated by the Italian Guardia di Finanza. This includes replacement engine covers and lower fuselage (with cavities for retractable undercarriage), rotor cap, antenna and aerial, ventral tail-fin, and four flotation bags. By removing the under-belly radome one can easily make any other A109A or C, though you may also need to make some detail changes to the nose profile and/or the main rotor mast fairing since there are differences in early production batches. 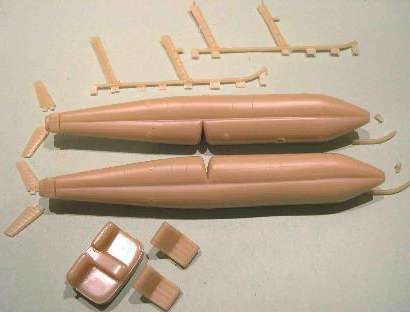 The second is primarily a set of floats in 1:35 to convert a Dragon (or Italeri) OH-6A or MD500 into a Guardia di Finanza NH-500MD or Hughes 500D. These are big pieces of resin representing Air Cruiser pontoons, one of three different designs of fixed float used by the GdiF; they come with support struts, tail-fins, and position lights. Also supplied in this set are replacement high skids for a non-float equipped version, a pair of pilot seats, and a bulkhead to go behind those seats. 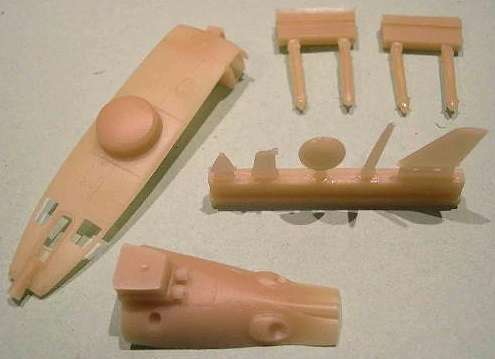 It is intended that a similar set will also be produced in 1:48. Maurizio is also working on a new book about the helicopters of the Guardia di Finanza (for whom he works as ‘Maresciallo Specialista d'Elicottero’). 2. 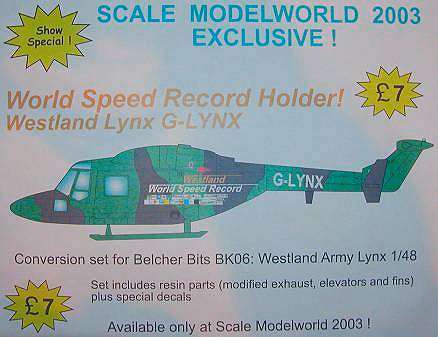 At Scale ModelWorld, Mike Belcher was selling a limited edition set of decals and resin parts to convert the Belcher Bits 1:48 Army Lynx into the World Record breaking G-LYNX. The decals are complete with all the sponsors’ logos, the resin parts are a different engine housing and new stabiliser fins. This set was 'officially' only available at the show, but Mike suggested he might be sympathetic to subsequent requests (especially if he has any left over!). It comes with two pages of instructions including several photographs and diagrams. The prioritisation of these possibilities depends to a certain extent on your input; so let Mike know what you would like to see. 3. 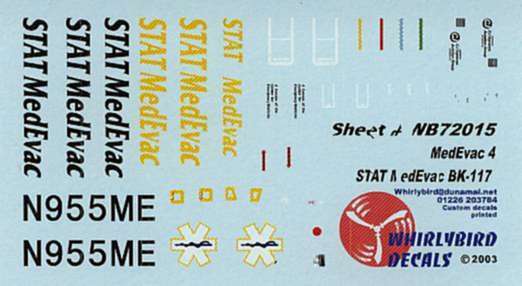 Following on from the new Whirlybird decals for the STATMedEvac BK-117 (HKN #175), there will be another set for the STATMedEvac EC135, and possibly others for the West Midlands Air Ambulance EC135 G-WMAS and Scottish Air Ambulance EC135s G-SASA/B. Also in preparation are series of decals for the many-liveried UH-1H currently registered as G-HUEY. Starting life as US Army 73-22077, this aircraft was delivered to Argentina as AE-413 in 1973. During 1982 it was captured and flown by the British in the Falkland Islands before deteriorating in the open at Port Stanley. It was later shipped to the UK and by 1985 had been returned to flying condition by personnel from 18 Sqn RAF, registered as G-HUEY, and was operated by the Royal Air Force Benevolent Fund. It 1987 it appeared briefly in the James Bond film "The Living Daylights”. Since then it has had three more owners, including a spell in the Bournemouth Aviation Museum. This will be a multi-part release, the first part being for AE-413. 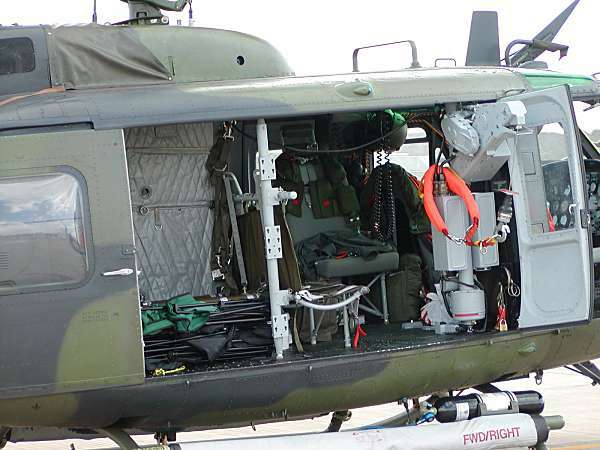 Whirlybird also have a cabin winch for the AB205 / UH-1D/H. This is the type that is anchored to a vertical pole mounted inside the cabin door. Currently available by itself as #72-019, it will also be part of a HEER UH-1D conversion set that will include flotation bags, cable cutters, aerials and antennae, bulged windows, etc. 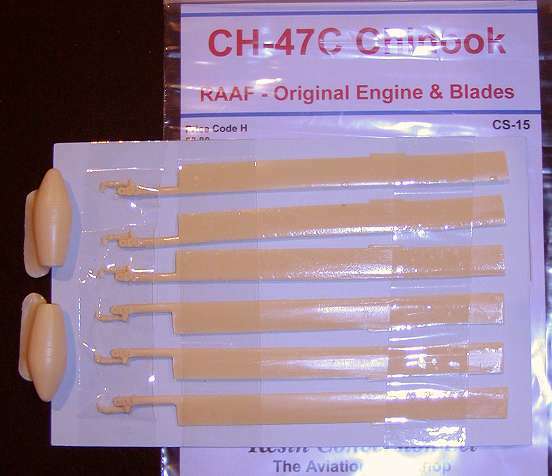 AA-7208 (also 1:48 and 1:32), decals for Australian Army helicopters operating with the RAAF Aircraft Research and Development Unit (ARDU) – Blackhawk, Kiowa and UH-1H (MA). For full listings of what's currently available you are strongly advised to check the Model Alliance website, HKN tends to get confused about what's new and what's a re-issue with a different number. 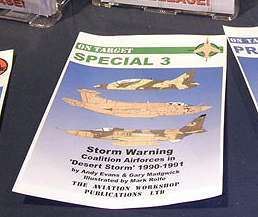 Accessories in preparation include 1:72 and 1:48 ‘Disco Jammers’ moulded in clear plastic, and the On Target Special book #3 ‘Storm Warning’ will include Operation Telic helicopters from Canada, Australia, UK, Spain, Italy and other alliance partners (excluding the USA). 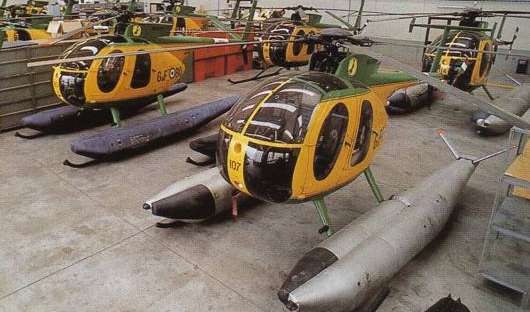 News of the long-awaited Model Alliance injection-moulded Ecureuil/Squirrel and S-76 kits is not so good. Having made little or no progress with moulders in the Czech Republic and Australia, Model Alliance are now searching around for a company in the UK who can do this work for them. 5. Next from LF Models will be two 1:72 variants of thr Pitcairn PCA-2 autogiro. One will be the colourful 'Miss Champion', the other is believed to be the XOP-1 variant as evaluated by the US Navy. These may be avaiable before the end of this year. 6. It appears that Trumpeter will release a Kamov Ka-27 Helix-A in 1:144 as an accessory for their range of 1:144 warships. It is not clear at the moment whether it will be six helicopters per box, or a kit comprising just six pieces! Release is scheduled for Dec-03. 7. Strong rumours that Italeri will ‘definitely’ be re-releasing the 1:72 Esci UH-1D/H during 2004 continue, but there was no official confirmation of this. Everyone was asking them when they're going to get their Mojaves out, but no answers were forthcoming on this either. Actually the Italeri representative gave the impression that he did not have the faintest idea of what's going on in Italy. Revell have no helicopters listed for release in the first four months of 2004. Airfix will re-issue several 1:72 Italeri gunship kits in 2004, for which new decals are in preparation. It is likely these will only be available as 'Starter Sets' with paint and brushes included. 8. The new book in the Landing Zone Close-Up series, #2 'CH-53E & MH-53E Super Stallion & Sea Dragon' by Philippe Dognon & Christian Bouschon is now widely available from the usual sources, or direct from Kits Discount. 9. 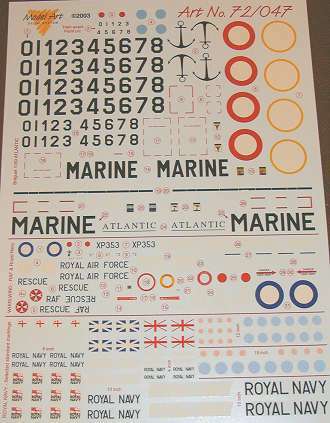 Model Art have re-printed the Whirlwind HAR.3/10 and HAS.22 RN decals from sold-out sheet 72/041 onto a new sheet, 72/047, along with a selection of generic RN helicopter markings including titles and Union Flags (plus decals for the Breguet Atlantic). Now Jean-Pierre is thinking about the possibility of some Dragonflies, so if you have any good photos or artwork, now’s the time to get in touch. 10. 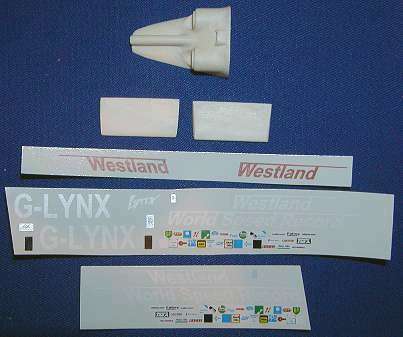 Accurate Armour’s 1:35 Lynx might have been out by now if events hadn't diverted their attention elsewhere. It will now be released 'sometime in 2004', War on Terror permitting. 11. Next release from Max Decals is still planned to be Max 7216 'IAC update 2003' including Irish Air Corps, Irish Coastguard (S-61N) and Garda (Irish Police Squirrel & EC135) helicopters, plus 'bonus' decals in 1:48 (for the Trumpeter Dauphin?) and 1:32, as originally scheduled for release a year ago. 12. Flying Papa's have released their decals for the Tokyo Metropolitan Police EH101 Merlin, sheet 72-M097. As predicted this gives you a very complete set of markings for this attractive aircraft. Flying Papa's are available for order online from Arawasi. Thanks to Mike Belcher, Joe Francesco, Luca Beato, Maurizio di Terlizzi, Philippe Dognon, Shuichi Manei, Jean-Pierre Desprez, Gary Madgwick, Jonathan Mock, Roger & David Evans, and Erwin Stam.